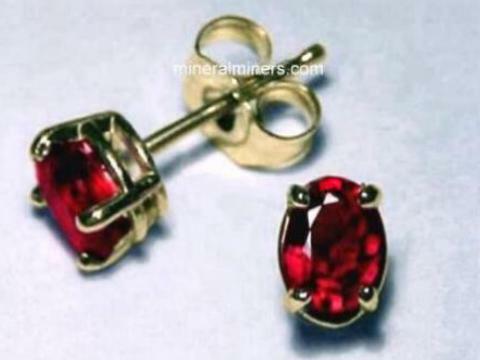 This is page 1 of our Natural Gemstone Earrings in 14k Gold. 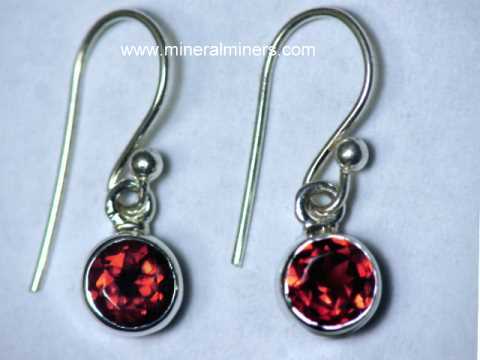 These earring pages will take a little longer to load since they contain all of our on-line selections of stud gemstone earrings and some jewelry for all mineral varieties. NOTE: If the images on this page do not load properly (or if they take too long to load! 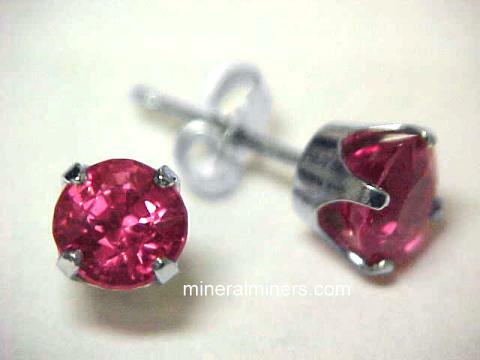 ), then you should visit our Jewelry Index where there are links to separate earring and jewelry pages for each mineral variety. 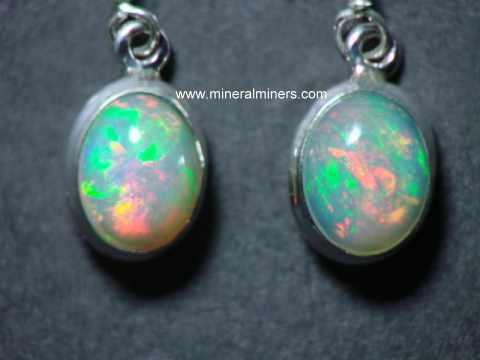 The images of our earrings & jewelry items on these specific mineral variety pages will load much faster. 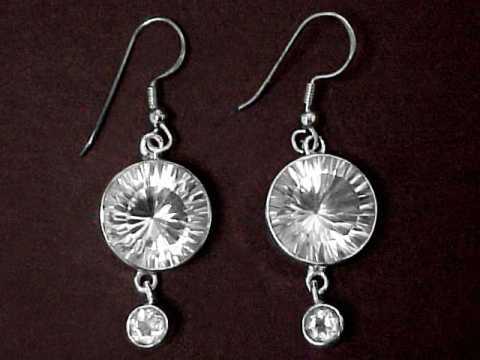 Our earrings are sold and replaced on a daily basis, so do come back often! 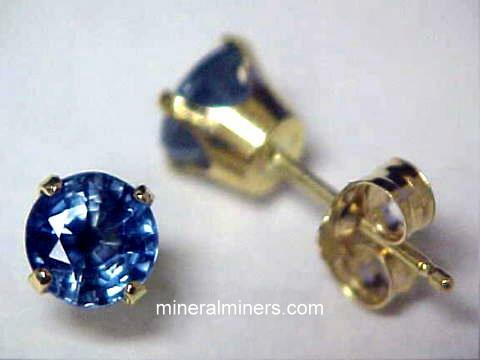 These unique 14k yellow gold aquamarine earrings are set with natural aquamarine gemstones with light blue natural color: these aquamarine gems are both unheated and untreated. This natural aquamarine jewelry design is set with beautiful gems that are very well faceted in trillion cuts with excellent brilliance from natural aquamarine crystals mined in Brazil. See also another view of these natural aquamarine earrings. These 14k yellow gold aquamarine earrings are set with natural aquamarine gemstones with beautiful light blue color (100% natural color: these aquamarine gems are both unheated and untreated). This natural aquamarine jewelry design is set with very beautiful brilliant gems that were very well faceted in round brilliant cuts from natural aquamarine crystals mined in Brazil. 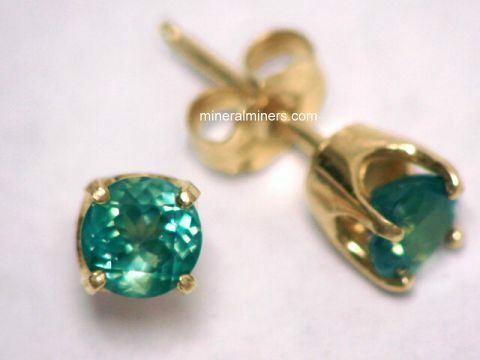 This pair of unique 14k yellow gold aquamarine earrings is set with natural aquamarine gemstones with very pale green natural color: these aquamarine gems are both unheated and untreated. This natural green aquamarine jewelry design is set with beautiful gems that are very well faceted in oval cuts with excellent brilliance from natural aquamarine crystals mined in Brazil. 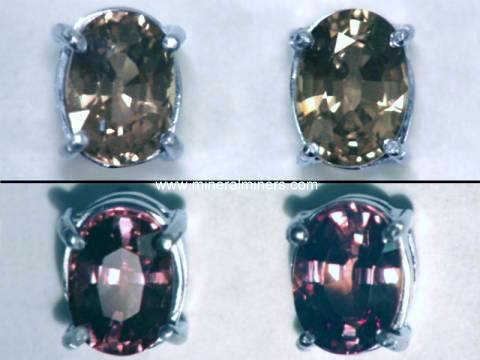 These superior quality gems are completely eye clean even under close inspection. See also another view of these natural green aquamarine earrings. These 14k yellow gold stud aquamarine earrings are set with fine quality natural aquamarine gemstones weighing 1.65 carats total weight. The fine quality 6mm round faceted gems in this natural color aquamarine jewelry design face up eye clean, with very faint natural inclusions only visible under very close inspection with bright illumination. These beautiful aquamarine gems are very well cut with excellent brilliance! They have wonderful light greenish-blue color (100% natural color - they are both unheated and untreated). This pair of solid 14k yellow gold aquamarine earrings is set with natural aquamarine gemstones with beautiful light icy blue natural color - these gems are unheated and untreated. This genuine aquamarine jewelry design is set with fine quality pear shape aquamarine gems that weigh 1.7 carats each (3.4 carats total weight). They are completely clean, and they were very well faceted with excellent brilliance from natural aquamarine crystals that were mined in Brazil. 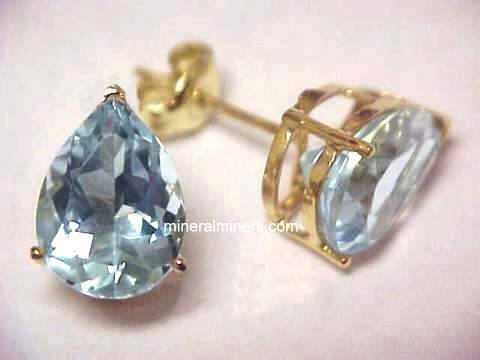 This pair of 14k yellow gold aquamarine earrings is set with natural aquamarine gemstones with beautiful light greenish blue natural color - these aquamarine gemstones are both unheated and untreated. This genuine aquamarine jewelry design is set with fine quality gems weighing 1.8 carats each (3.6 carats total gemstone weight). The beautiful gems in these natural aquamarine earrings are eye clean. They were very well faceted from natural aquamarine crystals that were mined in Brazil. This pair of 14k yellow gold aquamarine stud earrings is set with natural aquamarine gemstones with fine light blue natural color. These beautiful gems are both unheated and untreated. This genuine princess cut aquamarine jewelry design is set with very well faceted gems with good brilliance! 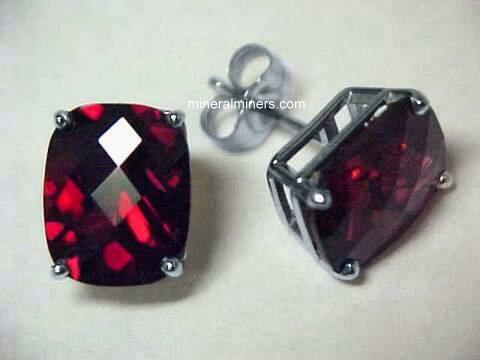 These superior quality gems are eye clean. See also a side view of these natural aquamarine earrings. 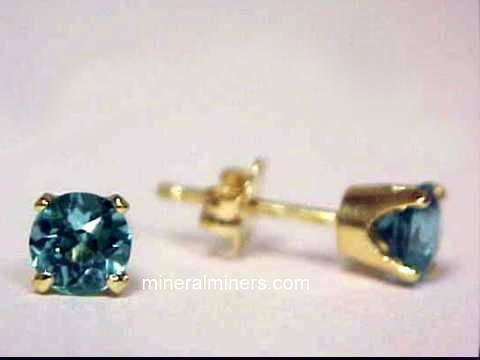 This pair of solid 14k yellow gold aquamarine earrings is set with natural aquamarine gemstones with beautiful light to medium blue natural color - these fine aquamarine gems are unheated and untreated. This genuine aquamarine jewelry design is set with fine quality pear shape aquamarine gems that weigh 1.52 carats each (3.04 carats total weight). 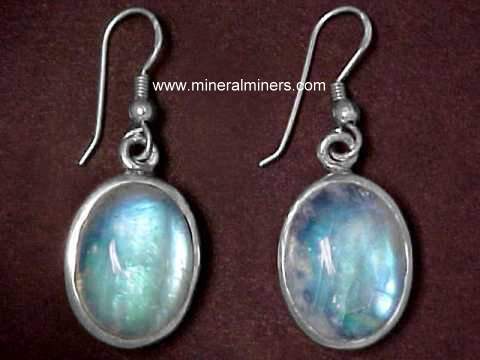 They are completely eye clean and they were very well faceted with excellent brilliance from natural aquamarine crystals that were mined in Brazil. These 14k yellow gold aquamarine earrings are set with natural aquamarine gemstones with pale greenish-blue natural color: these gems are both unheated and untreated. This octagon cut aquamarine jewelry design is set with superior quality eye clean gems that were very well faceted from natural aquamarine crystals found in Brazil. This pair of solid 14k yellow gold aquamarine earrings are set with natural aquamarine gemstones with very pale icy blue color (100% natural color: these gems are both unheated and untreated). Their beautiful icy brilliance is silvery with just a faint hint of blue (almost colorless). These fine quality aquamarine earrings are set with completely eye clean natural aquamarine gems that were very well faceted with superb brilliance from natural aquamarine crystals mined in Brazil. The gems in this genuine aquamarine jewelry design weigh 2.35 carats each (4.70 carats total aquamarine gemstone weight). This pair of solid 14k yellow gold aquamarine earrings is set with natural aquamarine gemstones with beautiful light blue natural color (these genuine aquamarine gems are both unheated and untreated). This marquis shape aquamarine jewelry design is set with fine quality gems that weigh 2.10 carats each (4.20 carats total weight). These fine aquamarine gemstones face clean, with very faint natural iclusions visible only under very close inspection. They were very well faceted with excellent brilliance from natural aquamarine crystals that were mined in Brazil. This pair of 14k yellow gold leverback aquamarine earrings is set with natural aquamarine gemstones with pale greenish-blue natural color - these genuine aquamarine gems are both unheated and untreated. This rectangular shape aquamarine jewelry design is bezel set with natural aquamarine gems that weigh 1.7 carats each (3.4 carats total weight). These beautiful aquamarine gemstones have very nice brilliance, and they face up eye clean with faint natural inclusions that are visible only under close inspection. They were very well faceted from natural aquamarine crystals that were mined in Brazil. 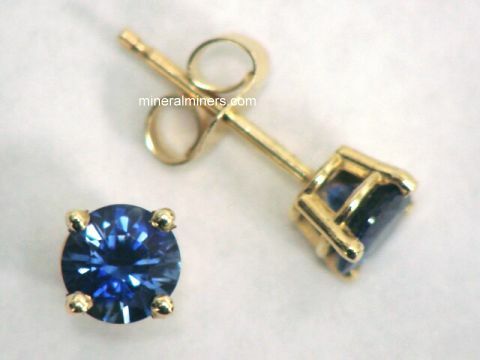 The photo at left shows a close up of this pair of natural aquamarine earrings. See also a full-view photo of these genuine aquamarine earrings. This pair of 14k white gold aquamarine leverback earrings is set with natural aquamarine gemstones with pale icy blue natural color - these genuine aquamarine gems are both unheated and untreated. This trillion cut aquamarine jewelry design is set with very well faceted gems with superb brilliance that weigh 1.50 carats each (3 carats total weight). These fine quality aquamarine earrings are completely eye clean! The gems were very well faceted from natural aquamarine crystals that were mined in Brazil. 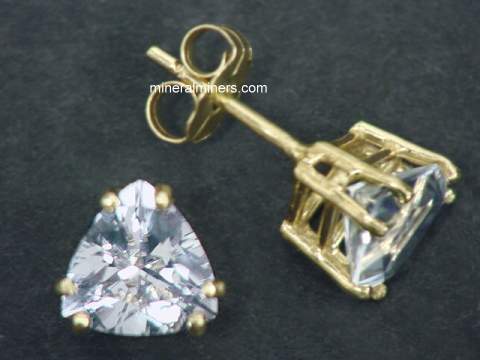 The photo at left shows a close up of this pair of trillion cut aquamarine earrings. See also a full-view photo of these genuine aquamarine earrings. This pair of 14k yellow gold aquamarine leverback earrings is set with natural aquamarine gemstones with pale greenish blue natural color - these genuine aquamarine gems are both unheated and untreated. This oval aquamarine jewelry design is set with fine quality gems with excellent brilliance that weigh 1.75 carats each (3.50 carats total weight). These genuine aquamarine gemstones face up eye clean, and they are very well faceted from natural aquamarine crystals that were mined in Brazil. The photo at left shows a close up of this pair of oval faceted natural aquamarine earrings. See also a full-view photo of these genuine aquamarine earrings. This pair of 14k white gold leverback aquamarine earrings is set with natural aquamarine gemstones with very rare medium-dark blue natural color - both gems are unheated and untreated. This pear shape shape aquamarine jewelry design is set with natural aquamarine gems that weigh 1.20 carats each for a total of 2.4 carats total weight. These beautiful aquamarine gemstones have very rare strong blue natural color! 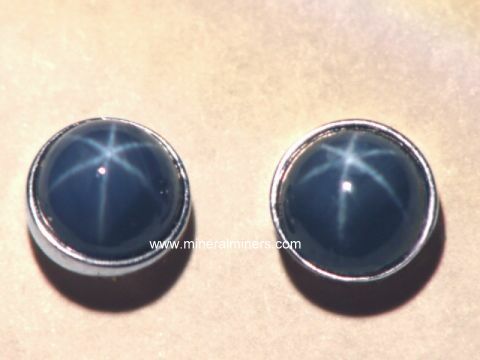 They face up clean with faint natural inclusions that are visible only under very close inspection. 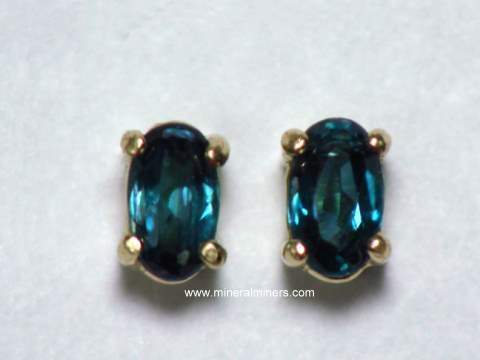 The photo at left shows a full view of this pair of natural aquamarine earrings. See also a close-up view of these genuine aquamarine earrings. This pair of 14k white gold aquamarine earrings is set with natural aquamarine gemstones with light blue natural color - these aquamarine gemstones are both unheated and untreated. This genuine aquamarine jewelry design is set with beautiful gems weighing 1.60 carats total gemstone weight. The superior quality gems in these natural aquamarine earrings are very well faceted and they are eye clean under very close inspection. These beautiful gems were faceted from natural aquamarine crystals that were found in Brazil. See also another view of these natural aquamarine earrings. This pair of 14k white gold leverback aquamarine earrings is set with natural aquamarine gemstones with very pale green natural color - these genuine aquamarine gems are almost colorless, and they both unheated and untreated. This rectangular shape aquamarine jewelry design is set with natural aquamarine gems that weigh 1.70 carats each for a total of 3.4 carats total weight. 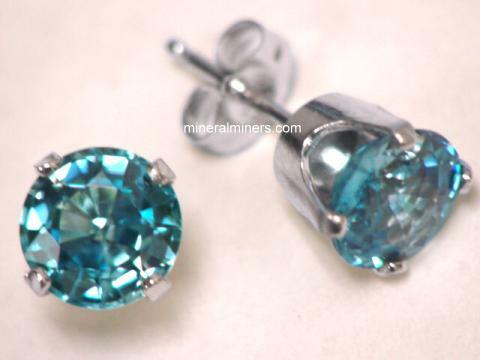 These beautiful aquamarine gemstones are exceptionally well cut with very nice brilliance. 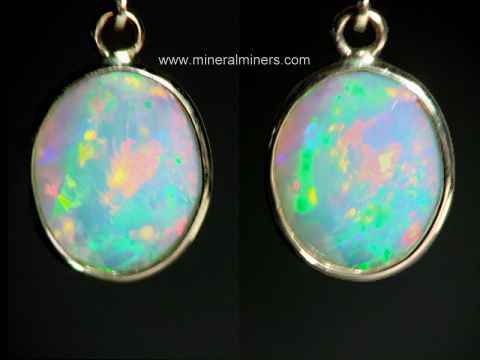 They face up clean with faint natural inclusions that are visible under closer inspection. 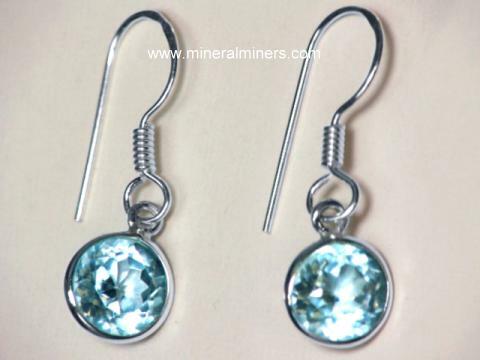 The photo at left shows a full view of this pair of natural aquamarine earrings. See also a close-up view of these genuine aquamarine earrings. This pair of solid 14k white gold aquamarine earrings is set with natural aquamarine gemstones with beautiful light blue natural color (these genuine aquamarine gems are both unheated and untreated). This marquis shape aquamarine jewelry design is set with fine quality gems that weigh 2.40 carats each (4.80 carats total weight). These beautiful aquamarine gemstones are completely clean, and they were very well faceted with excellent brilliance from natural aquamarine crystals that were mined in Brazil. This pair of 14k white gold aquamarine earrings are set with natural aquamarine gemstones with beautiful pale icy blue natural color: these gems are both unheated and untreated! 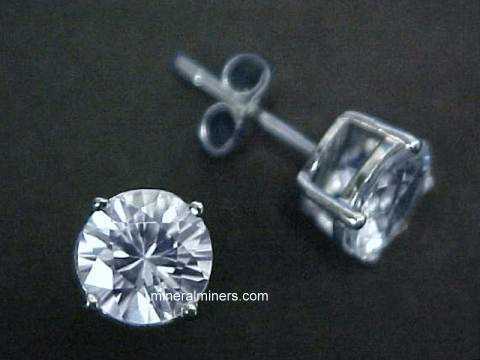 This radiant cut aquamarine jewelry design is set with superior quality gems that are completetly eye clean. They were faceted from natural aquamarine crystals mined in Brazil. See also another view of these natural aquamarine earrings. This pair of 14k white gold leverback aquamarine earrings is set with natural aquamarine gemstones with light to medium blue natural color - these genuine aquamarine gems are both unheated and untreated. There also are three small diamonds at the top of each aquamarine gem (six diamonds total, weighing 0.13 carats total diamond weight). This marquis shape aquamarine jewelry design is set with natural aquamarine gems that weigh 1.76 carats each (3.52 carats total weight). These beautiful aquamarine gemstones are exceptionally well cut with very good brilliance. They are completly clean, even under close inspection. See also a full view of these natural color aquamarine earrings. Genuine ametrine gemstones measure 13x9mm, roll-top octagon cut gems! 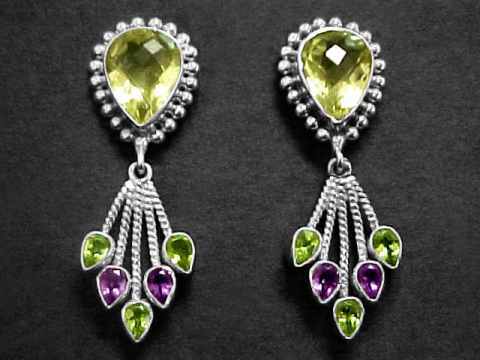 These 14k white gold earrings were set with fine quality natural ametrine gems weighing over 6 carats each! 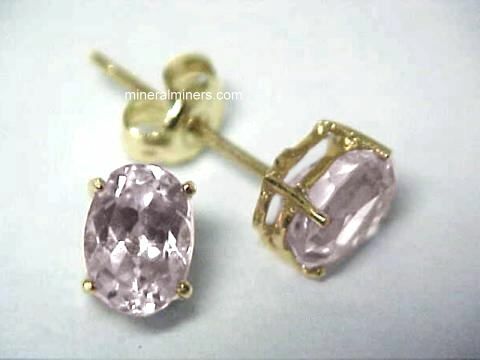 They were faceted from natural color ametrine rough mined in Bolivia. These natural color ametrine gems have areas with beautiful golden citrine and purple amethyst in the same gem. Of course, they can be turned so that the amethyst is either on the top or at the bottom. 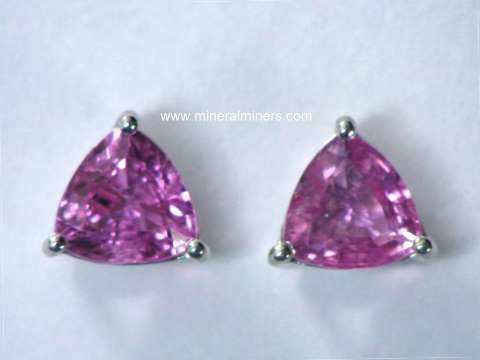 These fine quality ametrine gemstones are totally clean and they were very well faceted. 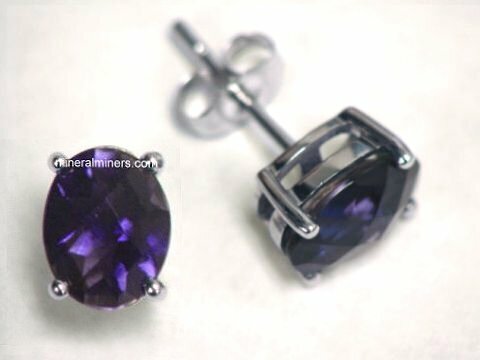 These beautiful earrings match perfectly with our natural ametrine white gold pendants amtj108 and amtj110. This ametrine pendant is set in solid 14k white gold with a fine quality natural ametrine gem weighing 11.5 carats. This beautiful gem was exceptionally well cut with concave facets yielding wonderful brilliance. It was handcrafted from a natural ametrine crystal mined in Bolivia. This natural color ametrine gemstone has areas with beautiful golden-brown citrine and purple amethyst in the same gem! The colors mix and blend as you turn the pendant. 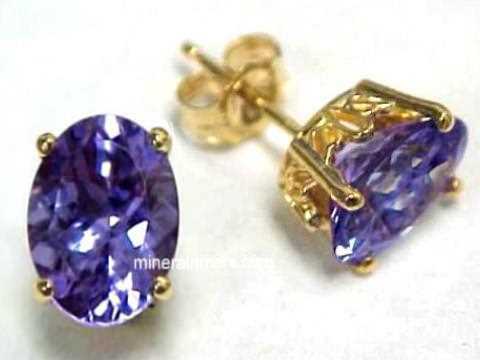 This fine quality natural ametrine gem is very well cut, and it is completely clean.This natural ametrine jewelry design is also set with a 4mm round brilliant cut genuine white zircon gemstone! This size 8.5 ametrine ring is set in 925 sterling silver with a fine quality 14x10mm faceted gemstone of natural ametrine weighing 7.5 carats that was faceted from a natural color ametrine crystal mined in Bolivia. This natural color ametrine gemstone is completely clean to the eye even under very close inspection, and it has areas with beautiful golden citrine and purple amethyst in the same gem! 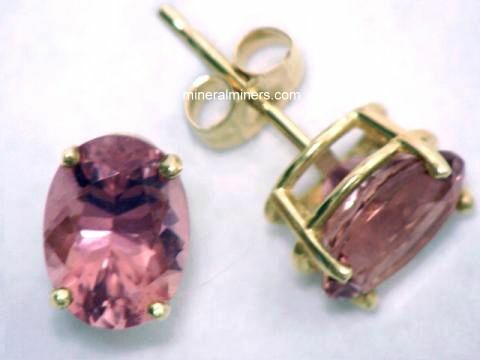 These colors are completely natural - this natural ametrine gem has not been heated or treated in any way. This natural color ametrine pendant is set with an 8 carat gem! This genuine ametrine pendant is set in 925 sterling silver with a lightly included 15x13mm pear shape gemstone of natural ametrine weighing 8 carats that has checkerboard faceting on all surfaces. 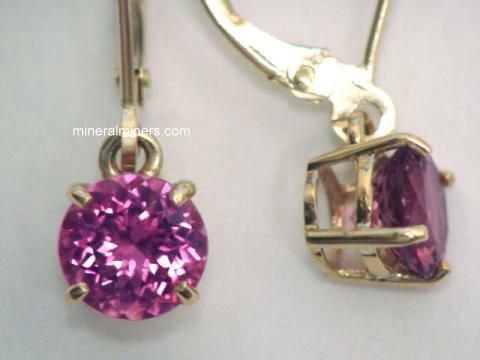 See a side-view photo of this natural ametrine pendant. This natural color ametrine gemstone is commercial grade with some faintly visible natural inclusions and some abraded areas on some of the facets. It is mostly purple amethyst with an area of beautiful golden citrine in the same gem! 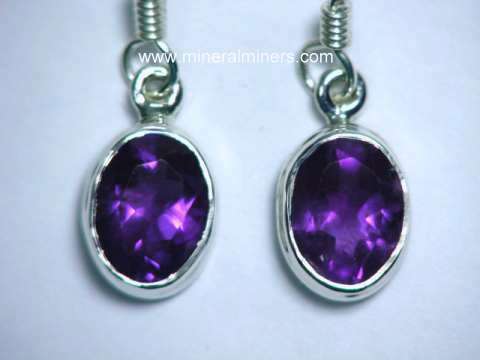 These colors are completely natural - this natural ametrine gem has not been heated or treated in any way. This natural color ametrine pendant is set with an 12.5 carat gem! This genuine ametrine pendant is set in 925 sterling silver with a lightly included 21x15mm pear shape gemstone of natural ametrine weighing 12.5 carats that has checkerboard faceting on all surfaces. 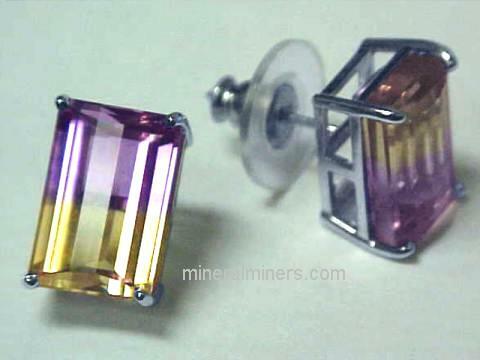 See a side view of this natural color ametrine jewelry design. This natural color ametrine gemstone is commercial grade with some eye visible natural inclusions and some abraded areas on some of the facets. It has medium purple amethyst and beautiful golden citrine in the same gem! 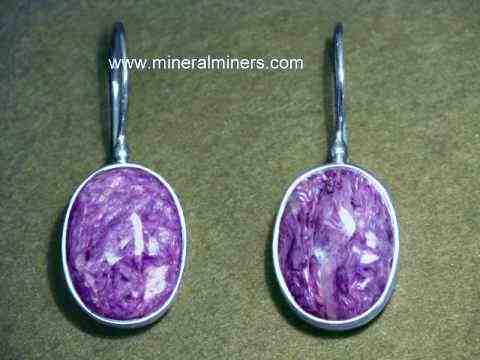 These colors are completely natural - this natural ametrine gem has not been heated or treated in any way. This 14k white gold ametrine pendant is set with a fine quality natural color ametrine gem weighing 24.60 carats that was faceted from a natural ametrine crystal mined in Bolivia. This natural color ametrine gemstone has areas with beautiful golden citrine and purple amethyst in the same gem. This fine quality natural ametrine gem is completely clean even when examined closely and it is very well cut. 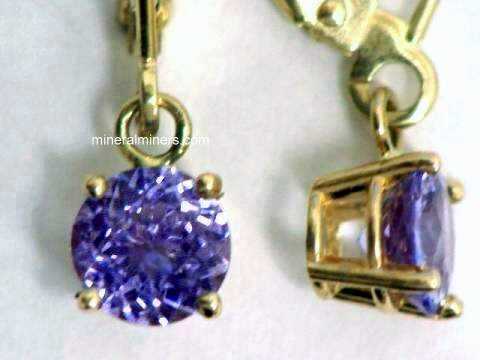 See a side view of this large rare quality ametrine pendant. This custom made, 18K (stamped 750), size 9 ametrine ring was set with a natural ametrine gem weighing 17 carats that was faceted from a natural color ametrine crystal mined in Bolivia. This natural color ametrine gemstone has areas with beautiful golden citrine and purple amethyst in the same gem! The expert faceting of this gem was acomplished in a way that the deep purple from one end of the gem is reflected over to the other end of the gem and blends in the middle. These colors are completely natural - this natural ametrine gem has not been heated or treated in any way. See also a top-view photo of this handcrafted ametrine jewelry item. See also a side-view photo of this ametrine ring. The overall weight of this ring is 10.28 grams. This custom made 14K gold ametrine pendant is set with a natural ametrine gem weighing 17.22 carats that was faceted from a natural color ametrine crystal mined in Bolivia. This natural color ametrine gemstone is a true bi-colored gem with a fairly sharp cut off of the citrine (golden orangy yellow color) at just past the half way point(mid section)of the gem and then, purple amethyst to the other end. These colors are completely natural - this natural ametrine gem has not been heated or treated in any way. See also a side-view photo of this natural color ametrine pendant. The overall weight of this pendant is 6.22 grams. 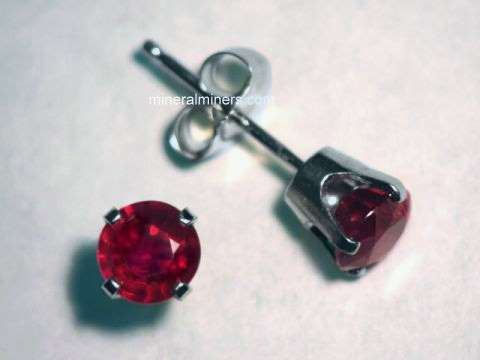 This is an exceptionaly nice gemstone and pendant setting. 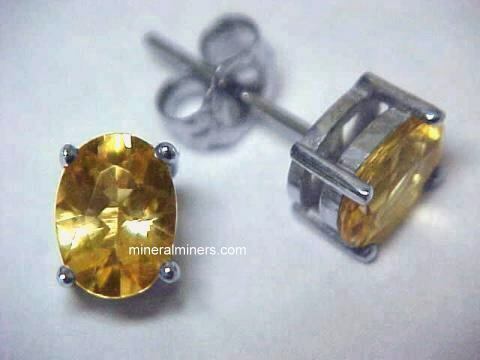 These citrine earrings were handcrafted in 925 sterling silver. 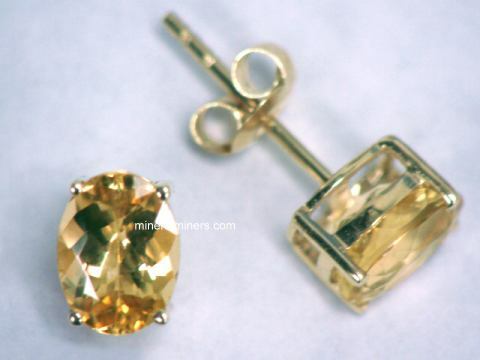 Each earring is set up with a 5mm round faceted citrine gemabove a 7x5mm pear shaped citrine gemstone. The gems in these citrine earrings have beautiful golden color. 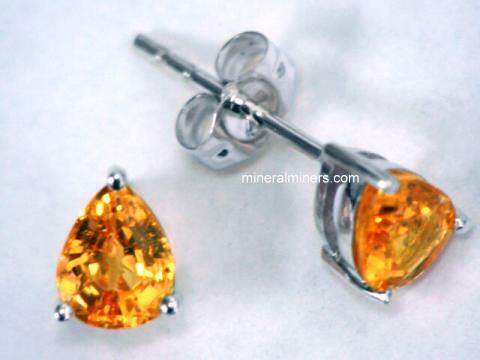 These citrine earrings were handcrafted in 925 sterling silver. Each earring is set at the top with a 5mm square faceted citrine gem and dangling below it is a 7x5mm pear shape citrine gem. The gemstones in these citrine earrings have beautiful golden color. 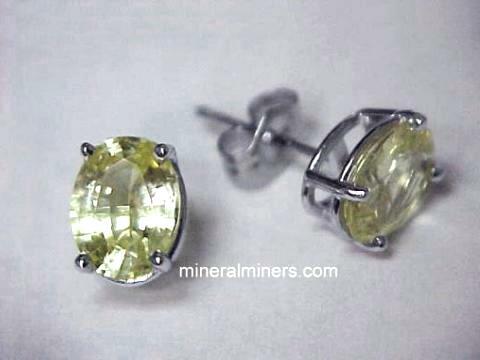 These citrine earrings were handcrafted in 925 sterling silver. Each earring is set above with a 7x5mm faceted oval citrine gem and underneath it is a 9x7mm faceted pear shape citrine gemstone. 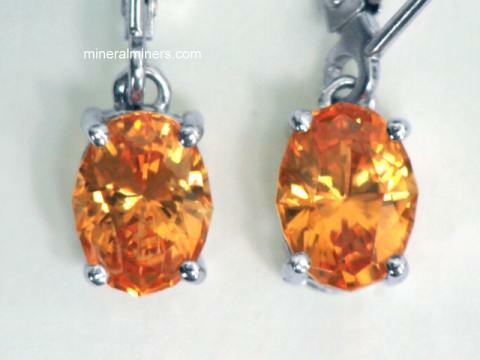 The gems in these lovely citrine earrings have beautiful golden color. This matching set of lemon citrine earrings with a matching lemon citrine pendant was hand-crafted in 925 sterling silver. 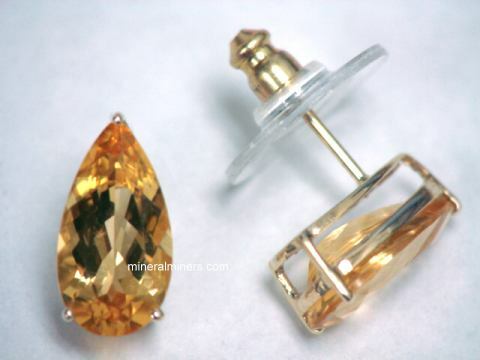 The pendant is set with a checkerboard faceted 13mm square cushion cut lemon citrine gemstone. The lemon citrine dangle earrings in this matching set were handcrafted in 925 sterling silver and then set with 12mm checkerboard faceted square cushion cut lemon citrine gems. 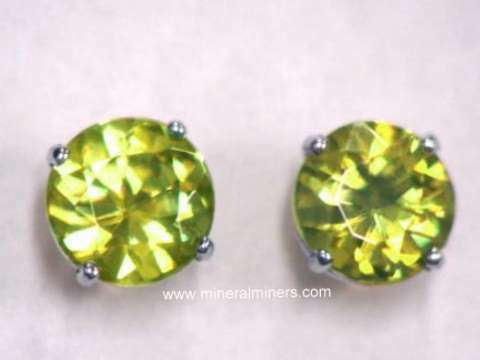 These beautiful citrine gems have lovely lemon yellow color! 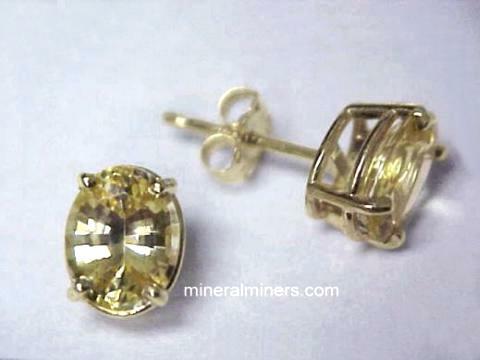 See also another view of this citrine pendant with earrings matching set. 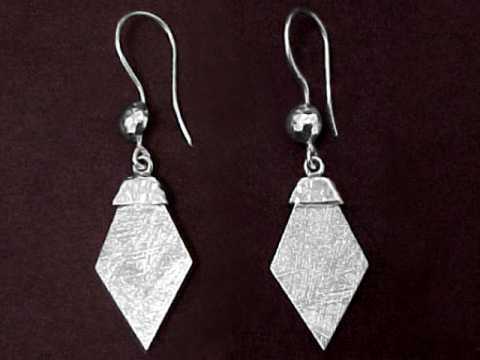 The 18 inch sterling silver chain necklace will be included with this pendant and earrings set at no extra charge. 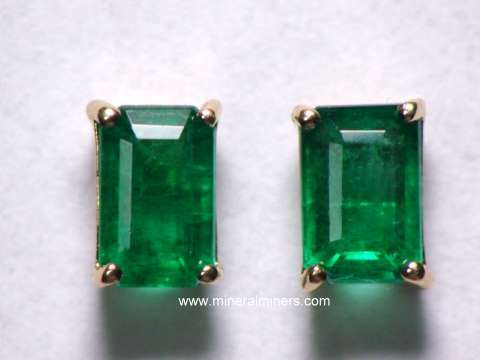 This fine quality pair of 14k yellow gold chrome diopside earrings is set with natural diopside gems with very beautiful fine dark green natural color - these genuine diopside gemstones are unheated and untreated. 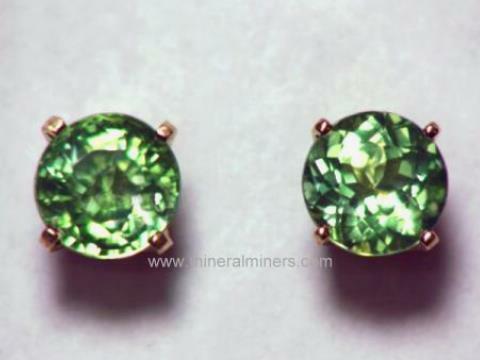 These fine quality diopside gems are completely clean even under close inspection, and they are very well faceted in oval cuts. 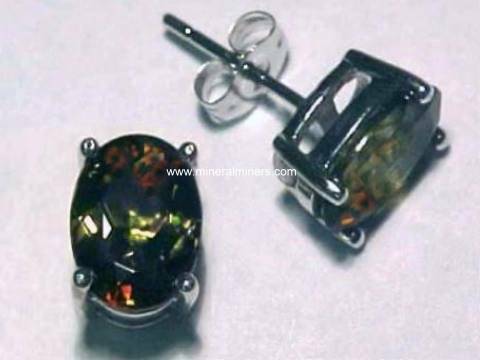 This fine quality pair of 14k yellow gold chrome diopside earrings is set with natural diopside gems with very fine and beautiful dark green natural color - these genuine diopside gemstones are unheated and untreated. 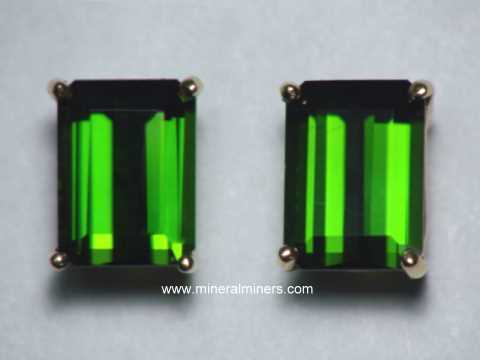 These fine quality diopside gems are completely clean even under close inspection, and they are very well faceted in trillion cuts. 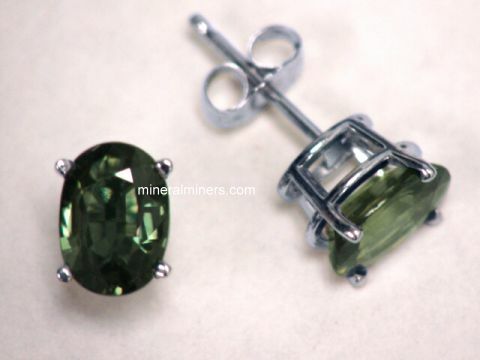 See also a side view of these natural diopside earrings. 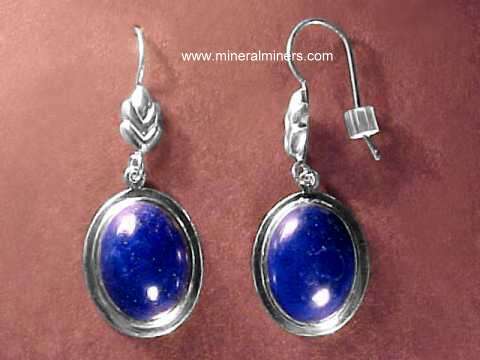 These lovely charoite earrings were hand-crafted in 925 sterling silver and set with fine quality 12x8mm cushion shaped cabochon gemstones of rich purple chatoyant charoite (100% natural color). These dangle style charoite earrings were hand-crafted in pure 925 sterling silver and set with fine quality 17x13mm oval shaped cabochon gemstones of rich purple natural color chatoyant charoite. 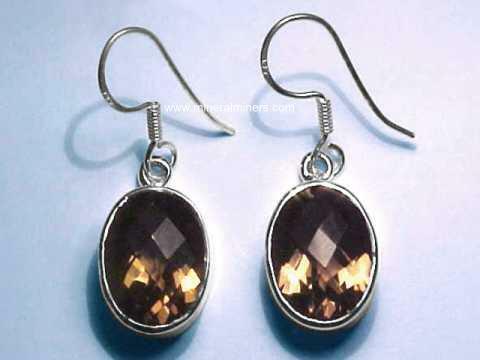 These dangle style charoite earrings were hand-crafted in pure 925 sterling silver and set with fine quality 14x10mm oval shaped cabochon gemstones of rich purple natural color chatoyant charoite, and with 7x5mm oval faceted gemstones of natural amethyst. Each pair of our 14k Gold Gemstone Earrings & Sterling Silver Gemstone Earrings is set with all Natural Gemstones! and see also our pages displaying Natural Gemstone Cocktail Rings and Natural Gemstone Bead Bracelets. 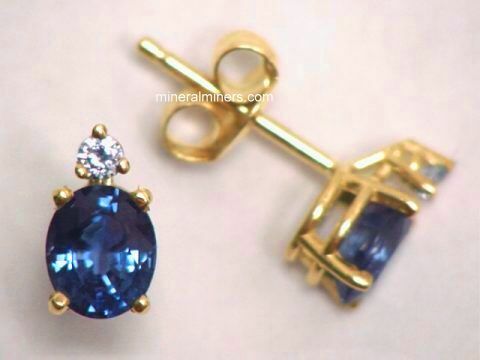 To see jewelry and earrings for a specific gem variety such as aquamarine earrings or alexandrite earrings, see the linked earring images below. 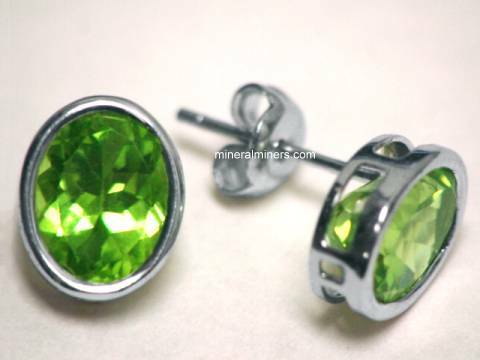 We also have a page displaying only tourmaline earrings. 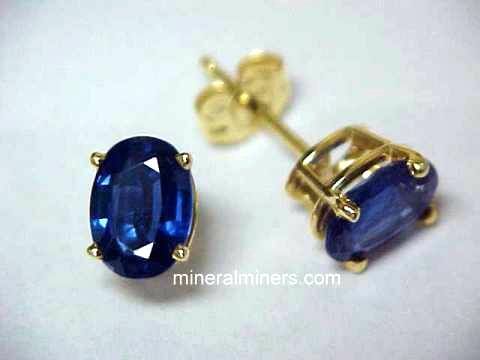 Would you like us to inform you when we add more fine quality natural gemstone 14k gold stud earrings on this page? 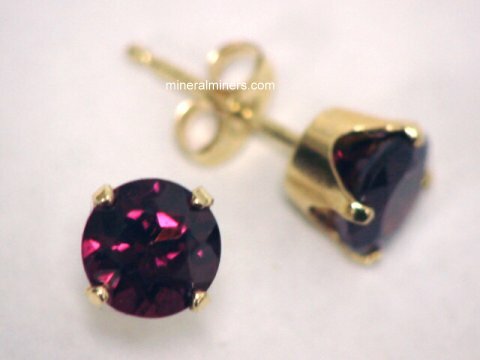 We have an extensive inventory of natural gemstone 14k gold stud earrings in stock in beautiful gem materials such as pink tourmaline earrings, tanzanite earrings, aquamarine earrings, peridot earrings, blue sapphire earrings, and green tourmaline earrings, so be sure to let us know if you have any natural gemstone 14k gold stud earrings special requests. 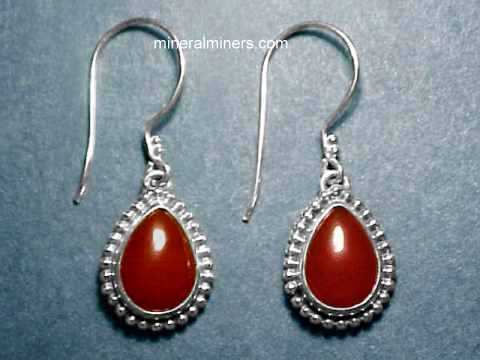 Please contact our webmaster or our 'site' geologist with any questions or comments regarding our genuine gemstone earrings.